Biodegradable vs. Bioplastics: What’s the Difference? Plastic that breaks down in weeks rather than centuries sounds fantastic. As concerns over plastic waste mount, the biodegradable plastics industry is growing rapidly coming up with all sorts of alternatives. However, it’s not as simple as simply throwing these new plastics in your backyard and letting nature take its course. By now, no one denies that humanity has a plastic problem on our hands. At FP International, we think about this issue often, keeping innovation and sustainability at the core of what we do. While plastic as a material is too useful and efficient compared to other barrier materials to just get rid of it, it is of the utmost importance to encourage innovation by either finding a worthy replacement, change it in a way that makes it safer, or modify how we use it. Biodegradable plastic is one such innovation that is quickly picking up steam. We know that conventional petroleum-based plastic takes so much time to break down that it’s effectively around forever. When it does break down, it just disintegrates into smaller and smaller pieces that are eventually absorbed into the environment — in most cases becoming more hazardous than its first form ever was. Just last month, a water quality study revealed that roughly 83 percent of testing sites across five continents and dozens of samples are contaminated with plastic fiber. That number is even higher in the United States with 94 percent of the samples testing positive. Though this is definitely of concern, it’s problems like these that spur innovation that companies like ours are currently undertaking. In fact, a recent report predicts that the biodegradable plastics market will grow from $2 billion in 2015 to $3.4 billion by 2020. Western Europe is driving most of this growth due to strict regulations on single-use petroleum products, constituting almost half the global market. Packaging is the largest segment of that market, making up around 60 percent of the total. Biodegradable plastic is also becoming popular for use in products like plastic bags, disposable plastic utensils, and other single-use items. As this material seems poised to become a part of our daily lives, it’s important that we learn about its applications, what exactly makes this plastic biodegradable, and how to properly dispose of it so that it performs its intended function. But first, we need to clarify a few terms. When talking about alternative plastics, there are a couple of words that are often confused or used interchangeably when they shouldn’t be: bioplastics and biodegradable plastics. Bioplastics are plastics made from organic materials such as corn starch, and often made up of polylactic acid (PLA). PLA has properties similar to polypropylene (PP) and polyethylene (PET) and looks just like ordinary plastic. In theory, it breaks down in a matter of weeks and does so without leaching toxic chemicals back into the soil and water table. However, this can be a bit misleading, as it’s not a good idea to simply let waste of any kind break down in a landfill. Like most organic material, its decomposition yields methane gas, a greenhouse gas many times more potent than carbon dioxide. Instead, PLA-based bioplastics should be taken to a commercial composting facility where it can be broken down in a controlled environment by microbes. Biodegradable plastics, on the other hand, refer to petroleum-based plastics that are combined with an additive that makes them break down quickly. This term is often very ambiguous and used interchangeably with bioplastics when the two are chemically quite different. To help better define the difference between biodegradable plastics and bioplastics, some states and countries (such as our home state of California) have passed labeling laws to keep the two terms separated. As you can see, even the official definition in Europe allows for interchangeability, but as these technologies mature, clearer definitions and traits will emerge to help industries and consumers understand exactly what the difference is between a bioplastic and a biodegradable plastic. Unfortunately, when we refer to the multibillion-dollar biodegradable plastics market, we’re talking about a market that is lumping together every different type of plastic that is engineered to break down quickly. If this stuff is going to serve its intended purpose, we’re going to have to make clear which types are actually beneficial. The growth this industry is experiencing doesn’t have much of a point if it involves materials that just damage the environment faster. Ideally, as the technology progresses, more bioplastics will be created from plant-based materials, and our ability as a society to process and recycle these materials will increase. 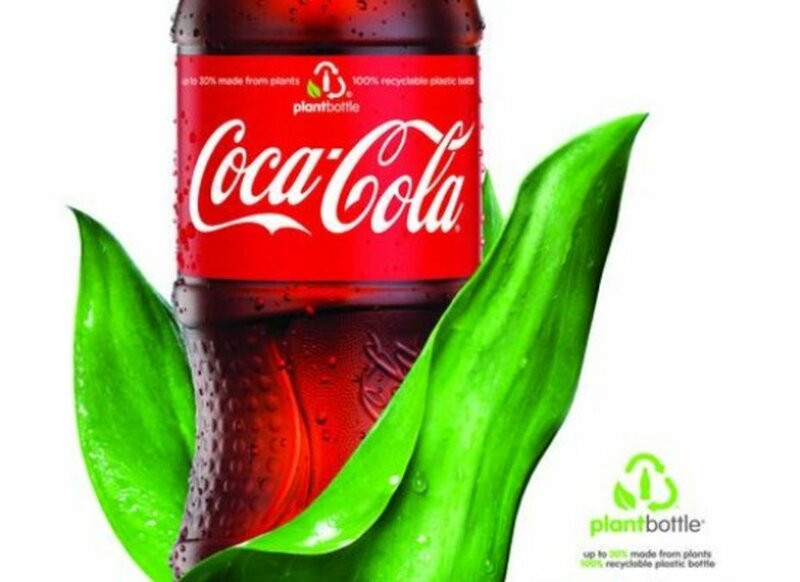 Already there are interesting hybrids and variants entering the market, like Coca-Cola’s PlantBottle. The PlantBottle is made from 30 percent ethanol-sourced plant material, and 70 percent traditional plastics. While this might seem like a weak effort (why not make the whole thing from bioplastic? ), it’s actually far from it. Full-fledged bioplastics are currently causing problems for our recycling facilities because they actually contaminate the recycling stream, rendering it unusable and ruining batches of otherwise reusable plastic waste. The plastic used in Coca-Cola’s bottles, however, can be recycled traditionally with other PET plastic. So while it’s not ideal, it’s likely the best option on the current market, because it works with our existing recycling system and infrastructure. With all this in mind, it’s apparent that the development of plastic alternatives haven’t reached a stage where they could be reasonably adapted and scaled at an industrial level. However, responsible bioplastic technology does exist and is advancing in a way that, if we adjust our infrastructure to handle it, could lead to a future of planet-friendly plastic. In the meantime, we’ll have to keep an eye on progress and doing our best with what we have: reducing our reliance on petroleum-based plastics and searching for new, better alternatives.